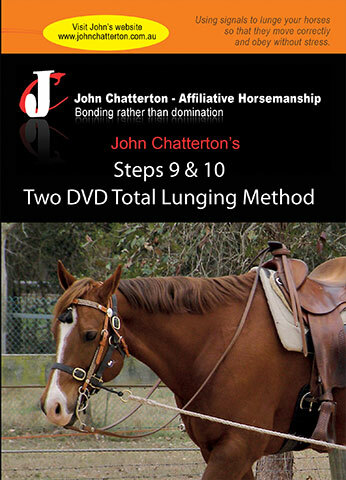 Teaching your horse to face up and establish bonding using the unique John Chatterton Affiliative Horsemanship method. 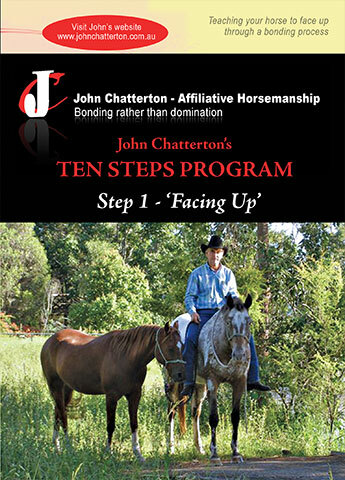 John uses the Step One Facing Up technique to gently build confidence in horses which run away from people through lack of confidence. He teaches calmly bonding with horses and building trust and uses this step for new and young foals also. Gentle body language and precise timing is communication every horse understands. In no time horses are willingly following you everywhere without the need for a halter. Catching or trapping is what predators do. 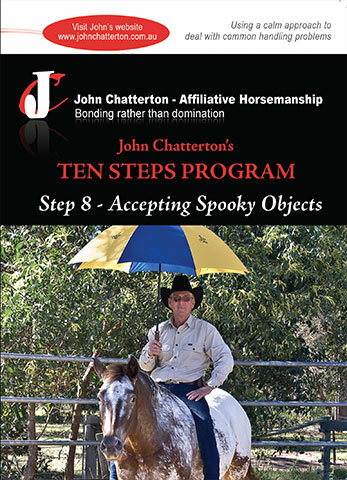 Step One of John Chatterton’s Ten Step Method is about teaching your horse to face up to you and also to accept frightening objects through a bonding process using John’s unique Affiliative Horsemanship method. 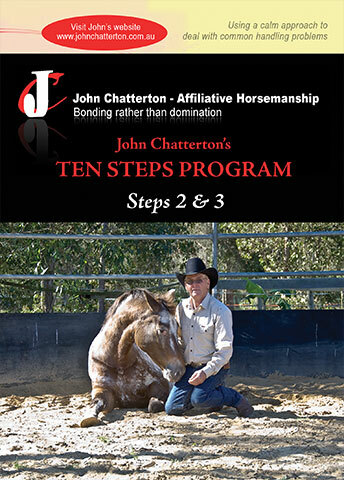 From studying and working with the Gaucho’s of South America and from many other excellent horsemen over the past 40 years, John has developed his own unique method of training horses which he calls Affiliative Leadership. 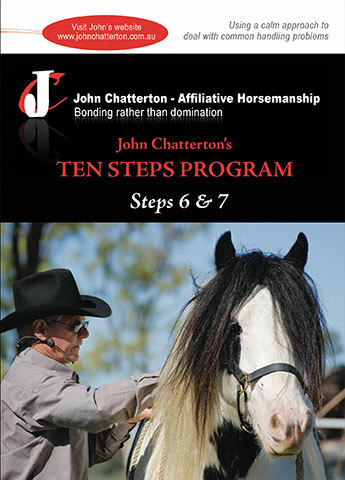 The John Chatterton Ten Step Program demonstrates how a tense, frightened or reactive horse can be taught to be safe in all situations and a pleasure to handle and ride for the majority of horse owners. Facing Up is possibly the most important of all the Steps and the step everyone needs to return to when having difficulty with any other. On his DVD John demonstrates how a horse can learn not to react with a flight or fight response. The emphasis is on safety for both horse owner and horse. This mutual safety can be achieved through the use of his affliliation and leadership process which creates bonding rather than using the de-sensitising methods commonly used in many other horsemanship practices.